I’m going to try to give the most simple explanation what is 3D LUT. A 3D LUT, is a mathematical value of the color assign to a specific coordinate on the 3D cube like environment. Meaning, that 3D LUT, converts one mathematical value into the other when you apply it to your footage. 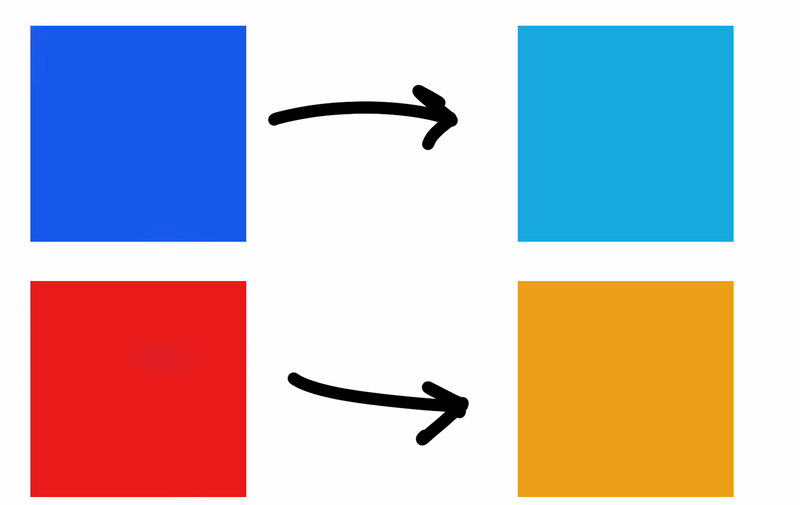 To give a brutal example: It converts orange into red, blues into teals, yellows into orange and etc. There are no “real” specific rules, how lut converts values. One lut can convert orange into red, meanwhile, another lut can convert orange into yellow, and so on. Well…there are still rules…sort of.. Ideally, you want to keep all colors within the same “group” when creating or applying 3D Lut. You don’t want to convert let’s say BLUE into RED, even though it may be possible, such conversions will affect the quality of the footage in a very negative way, as most of you know, there are tons of DSLR users on the market, who is shooting at 8bit, highly compressed footage. Applying such a heavily modified lut to that footage will affect its quality in a very negative way. In order to make everyone happy, Lut should not be “stretched” in such a way, to make a graduate transitions for a better final result. Generally speaking, depending on what you are doing, I recommend doing all adjustments manually, without using 3D LUTS. Reason for such advice, that we don’t really know the background of how lut was created, and some luts actually can ruin the quality of your footage. Some LUTS that are on the market look visually stunning, but you always should be careful. Don’t just drop lut on your footage, think of luts as a starting point for your grading. I admit, sometimes it’s very difficult to match a certain lut look manually, but always do manual work after applying a lut. LUT is not a final point, its a fundament of your grading if you choose to use it. Squares on the LEFT are “ORIGINAL” Image. Squares on the RIGHT represent “converted” image, after 3D LUT been applied.